Have you ever gone on a, pretty much, totally unplanned adventure? I mean a multi day, lots of activities, spontaneous adventure? 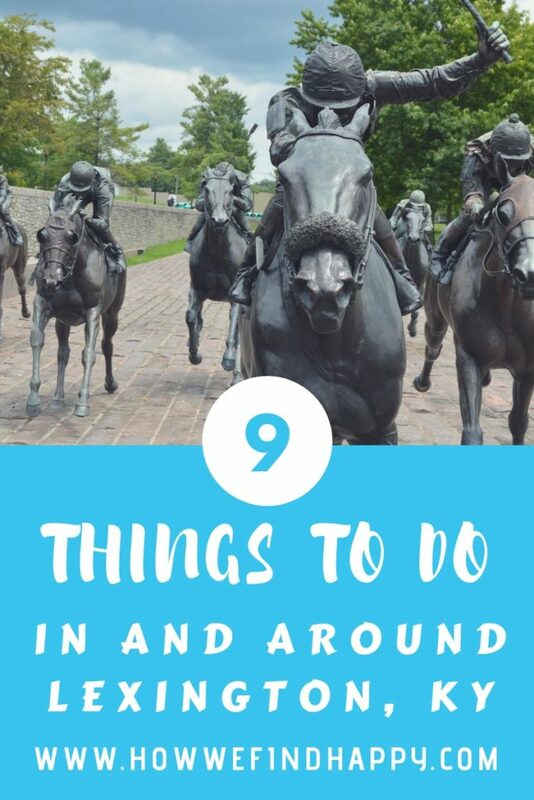 This is exactly how I found our 9 things to do in and around Lexington. 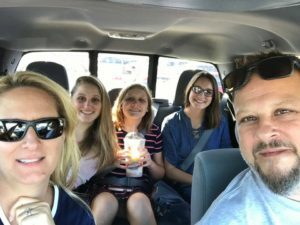 Other than a quick mention of the Ark Encounter to my mother-in-law months prior, I had not really thought about what we would do on our road trip home from Michigan. 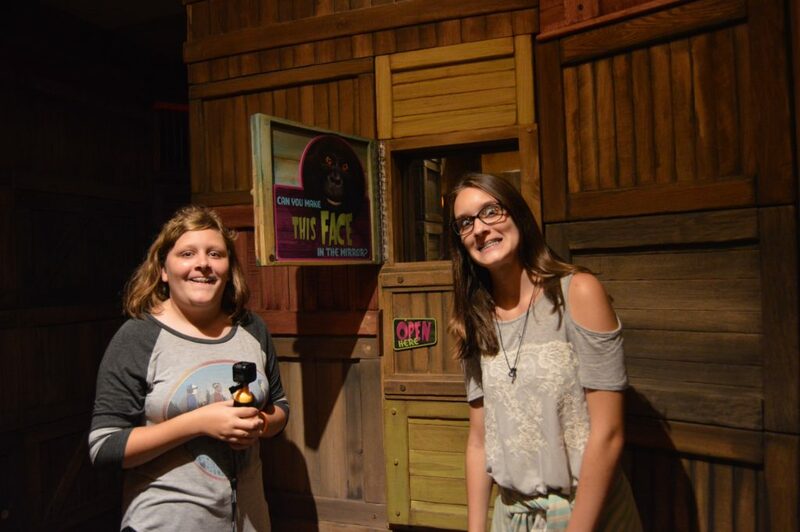 Our adventures began at the Ark Encounter with my mother-in-law. 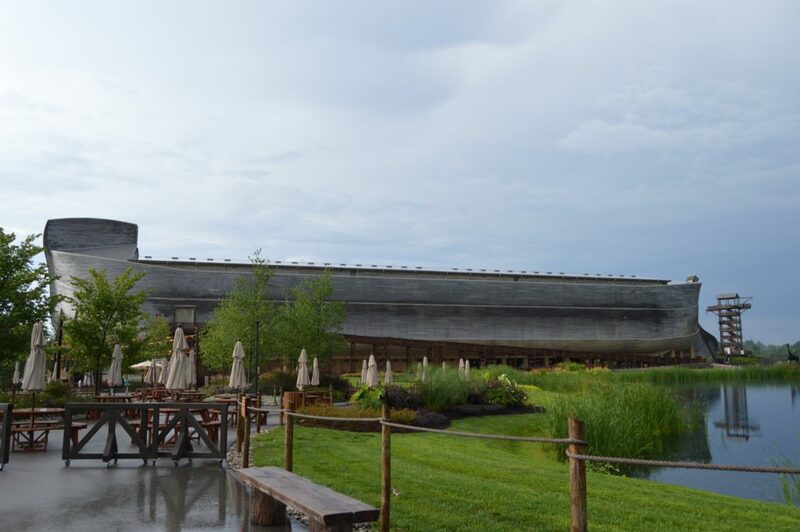 The Ark Encounter is about 40 minutes north of Lexington. 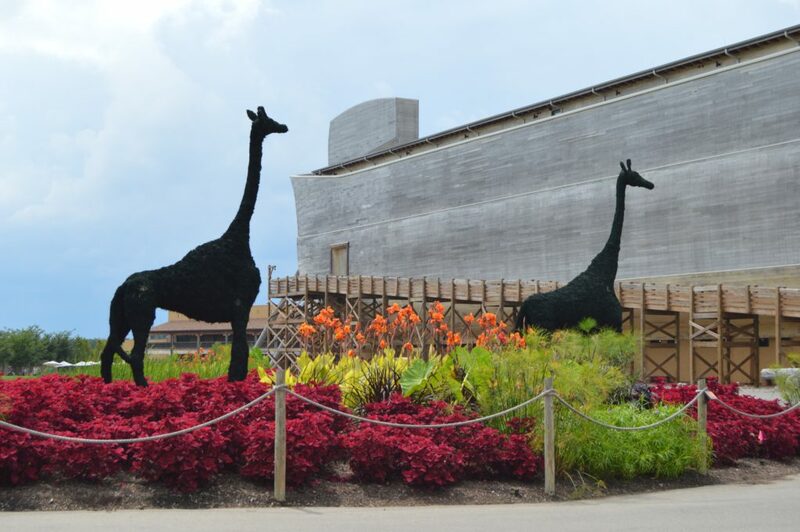 If you are not familiar with the Ark Encounter, it is a life-size Noah’s ark attraction. 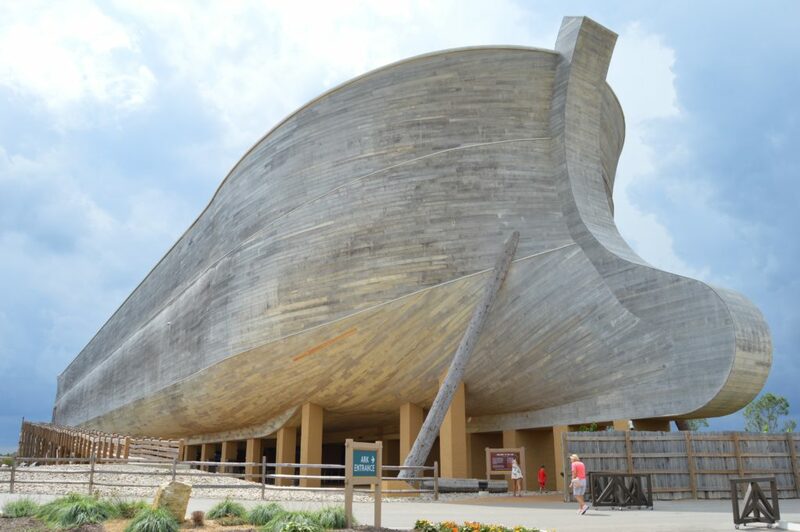 The ark itself is quite a sight, but there is more to do than just look. 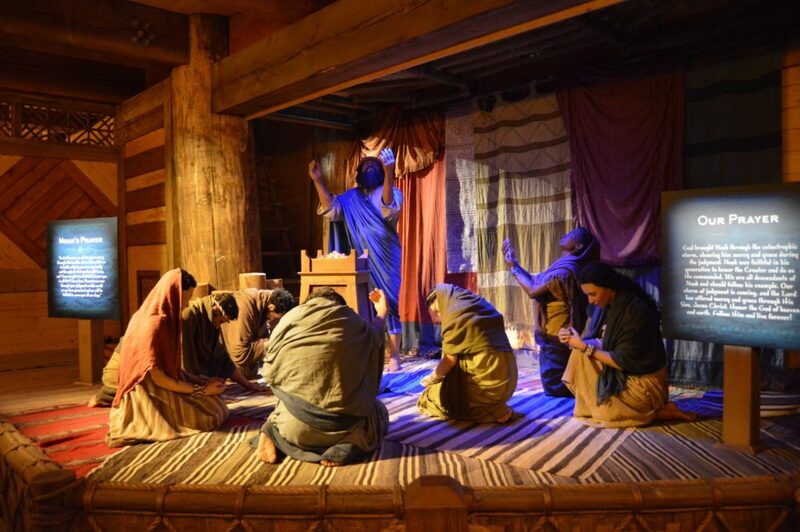 The inside has 3 levels of exhibits that not only depict what life may have been like on the ark for Noah and his family, but also provides thought provoking ideas on the biblical account of Noah’s ark. Behind the ark is the Ararat Ridge Zoo, but it had rained, so we decided not to do the zoo. On site there is also a gift shop, a market, coffee shop, and Emzara’s Buffet Restaurant. 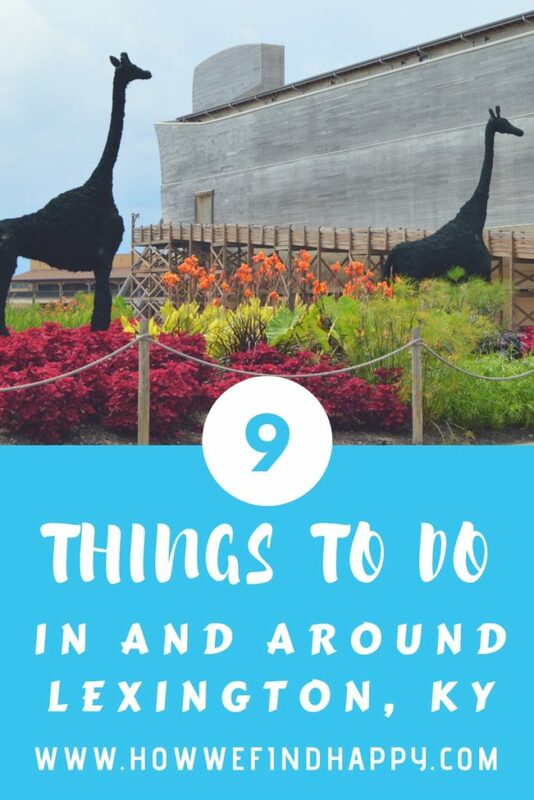 There is plenty to do if you wanted to make a day of your visit. We stayed at Country Inn & Suites in Georgetown, about 15 minutes outside Downtown Lexington, off I-75. 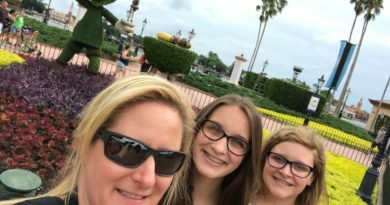 After we checked in, the girls and I grabbed a bunch of the brochures from the hotel lobby, so we could find things we wanted to do the next day. It wasn’t until the next morning we decided to stay an additional 2 nights in Georgetown after checking the weather forecast. There was no reason to continue south, because it was going to be nothing but rainy days. Day by day we chose what we wanted to do. We wanted to at least take a peek at the Downtown Georgetown area. If we had the time, we would have definitely spent more exploring Georgetown. 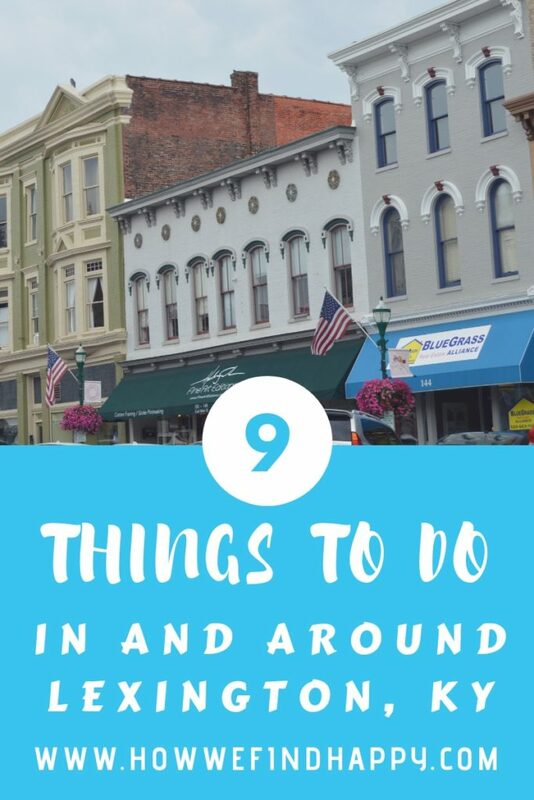 The area is filled with things to do, such as tours, museums, a cultural center, art galleries, restaurants, bakeries, breweries, antique & specialty shops, parks, trails, golfing, horseback riding, and more. 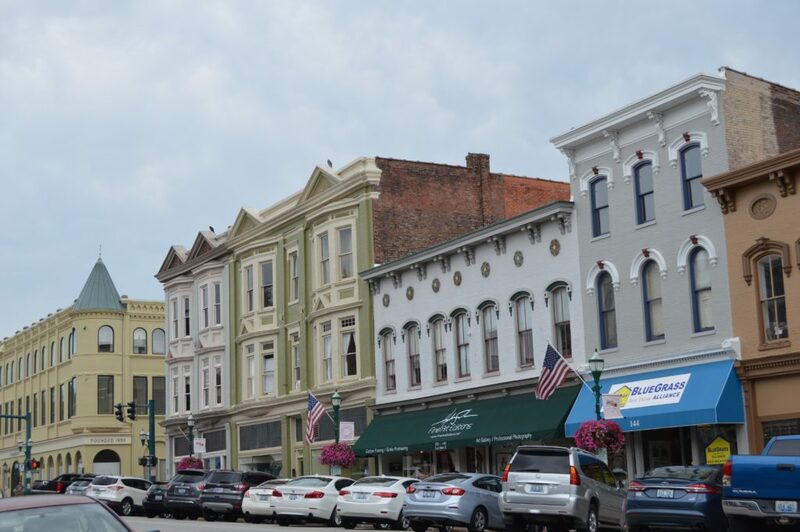 Downtown includes over 200 buildings the are listed on the National Register of Historic Places. 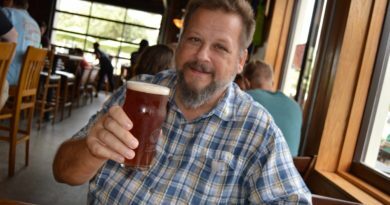 My Old Kentucky Brewery was the only place we popped into. 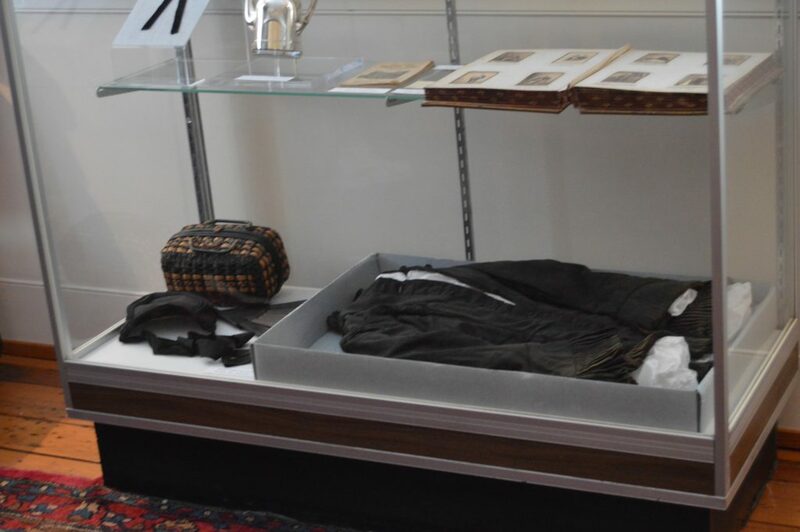 When we visited they were just newly opened. They did not have any of their own brews on tap, but I would love to get back and try some. I loved the atmosphere and have been following them on social media, where they post lots of fun events! 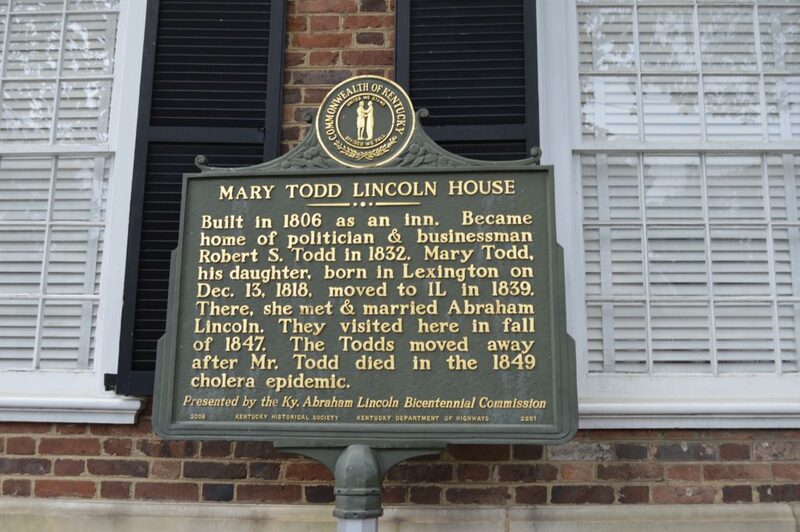 After breakfast with my mother-in-law, we headed into Downtown Lexington for the Mary Todd-Lincoln House. 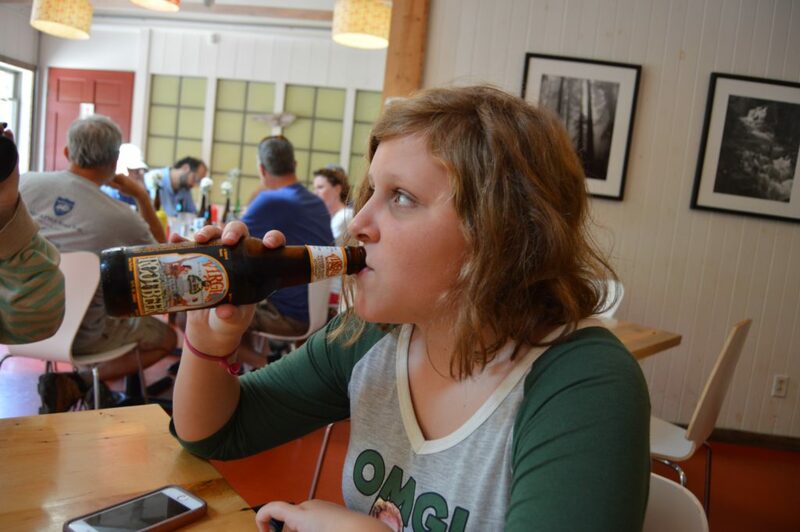 Anna was going to be starting her American History class in the fall, so it was a perfect educational field trip, and also fit right in after visiting Henry Ford’s Greenfield Village while we were in Michigan. 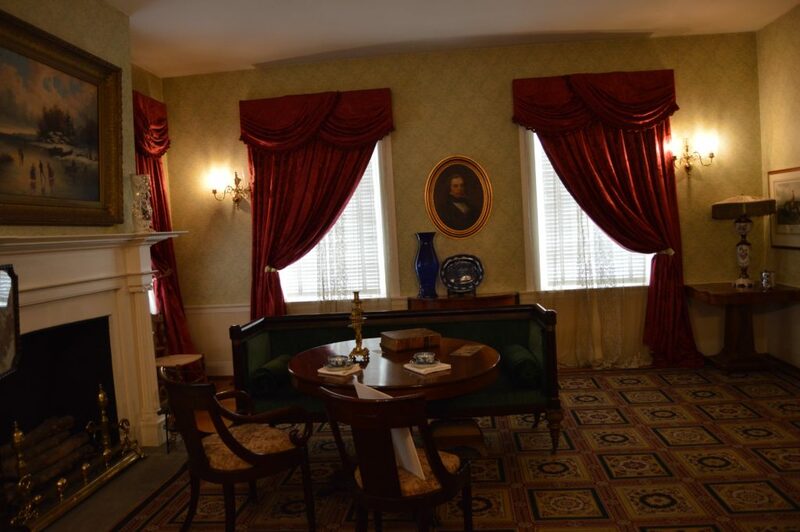 Opening in 1977, the Mary Tood-Lincoln House was the first house museum to honor a first lady, and they offer tours on the hour while open. 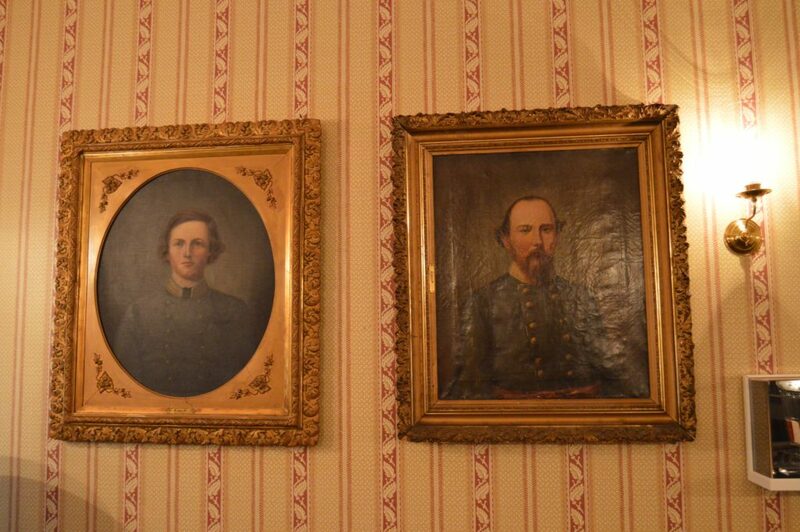 The house is filled with family portraits, and some of the items were owned by either the Todds or the Lincolns. It was very interesting to learn more about the controversy that surrounded our first lady. I cannot imagine if there had been social media back during the Civil War Era. 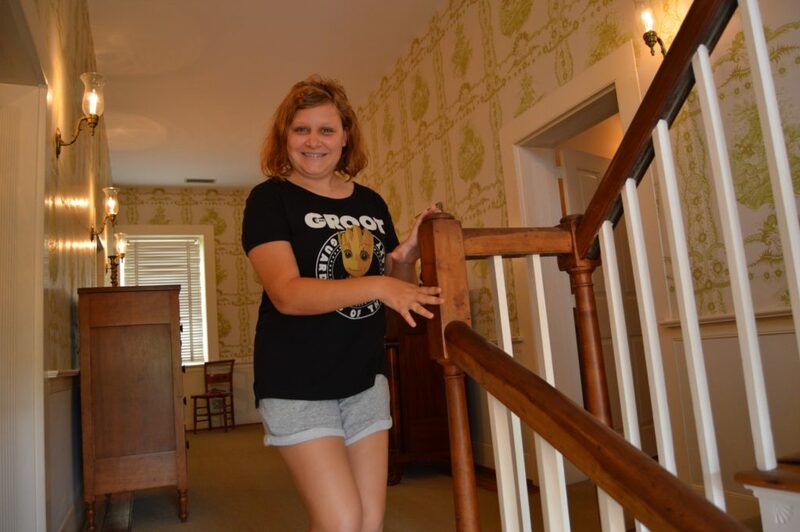 Knowing that the Lincoln family visited Mary’s childhood home for 3 weeks in 1847, the girls thought it was neat to actually touch a handrail that President Lincoln himself had touched. 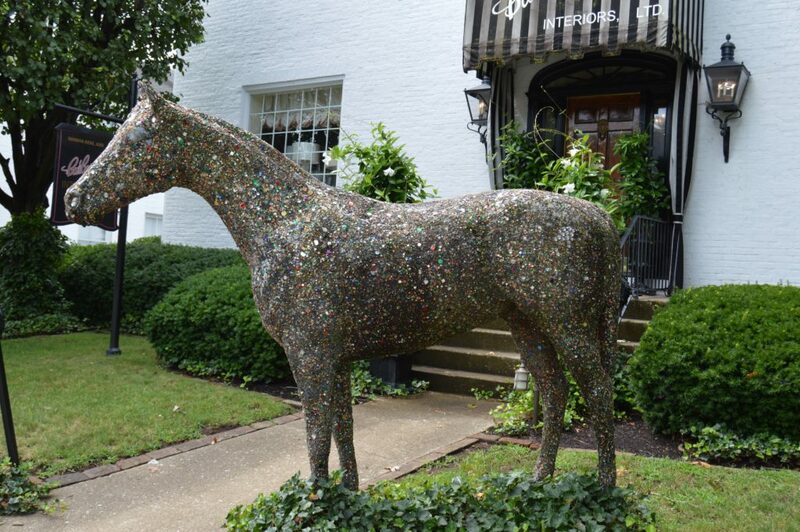 We walked down the street a little to take some pictures of the house and found this neat art book bench, and gem covered horse statue. 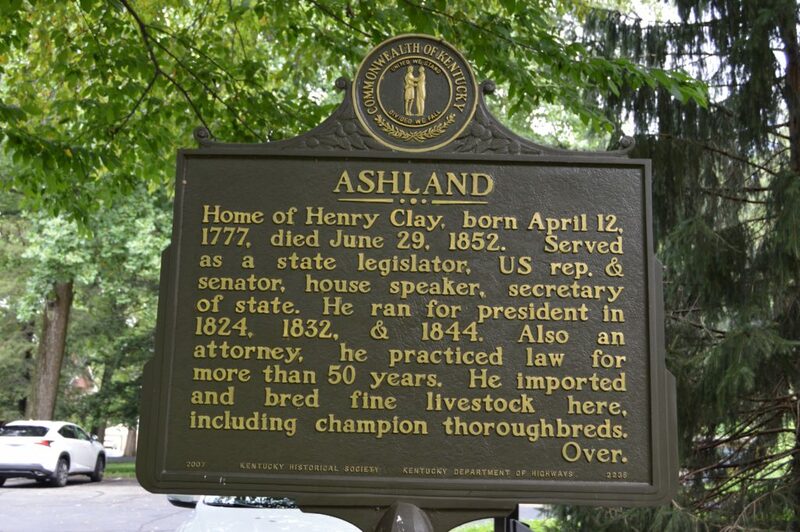 Our next adventure would be the home of Henry Clay, an attorney of more than 50 years. He also served as a state legislator, US representative, US senator, house speaker, and secretory of state. He ran for president in 1824, 1832, and 1844. Clay was responsible for importing and breeding fine livestock, including thoroughbreds. 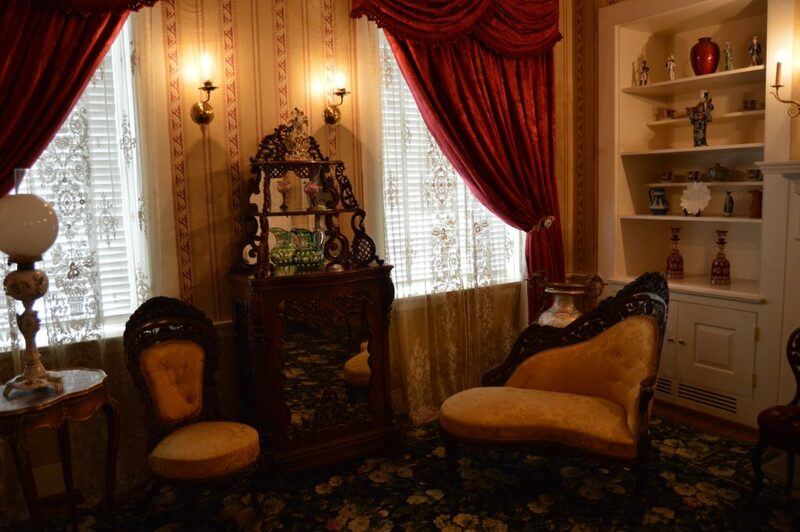 Sadly we were unable to take photos inside the home, so I will just tell you, it’s worth the tour if you enjoy history and architecture. 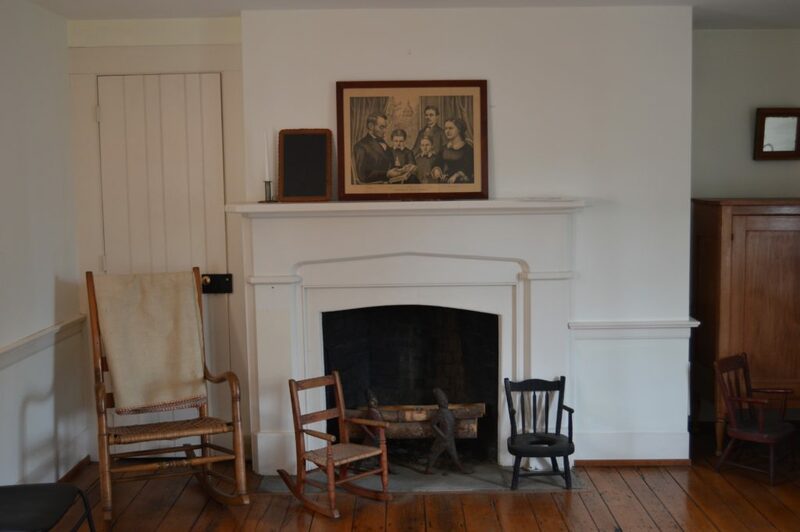 Ashland rotates some temporary exhibits around 2-3 times per year, but most of the home is filled with items which belonged to the Clay family. 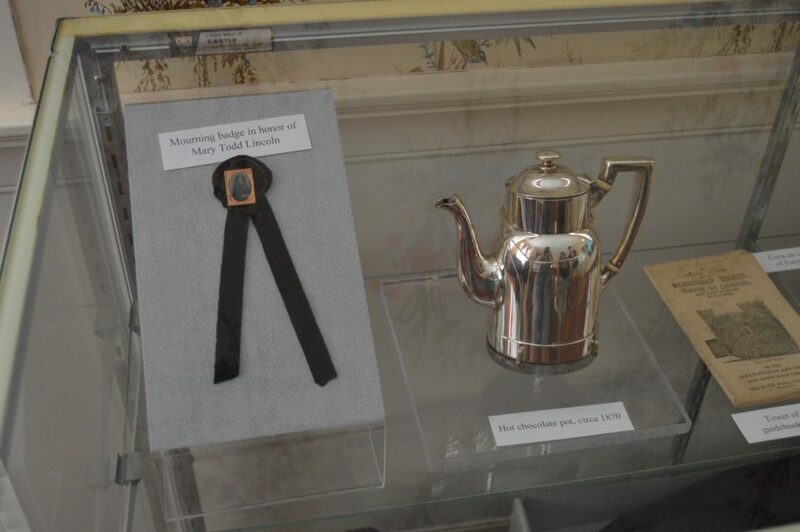 Most memorable item for us was a glass previously owned by George Washington. 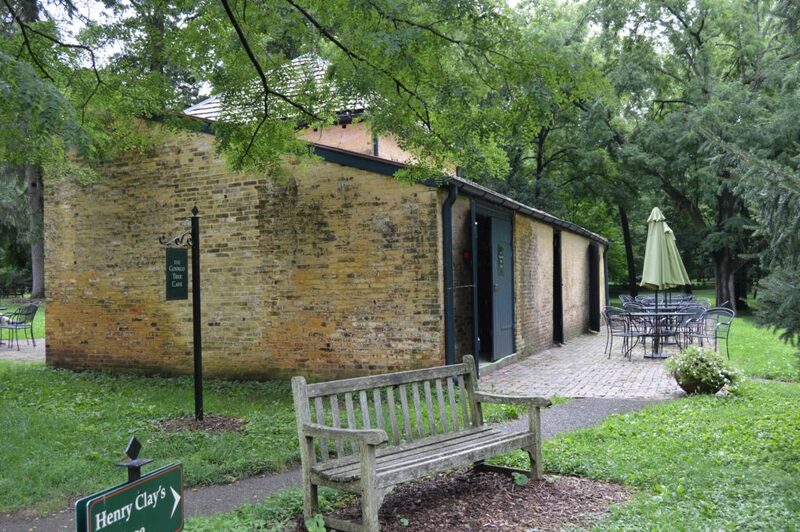 There is a little cafe on site, if you are looking for somewhere to do lunch. 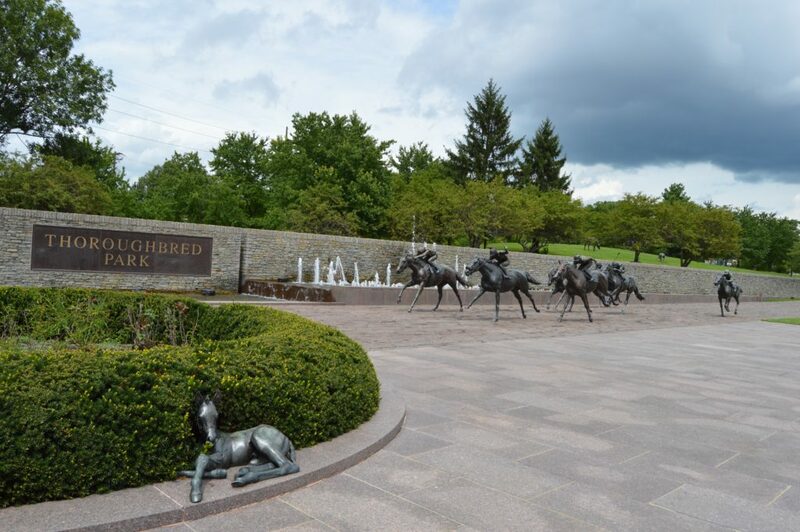 As we drove from the Mary Todd-Lincoln House, to the Henry Clay Estate, we passed Thoroughbred Park. 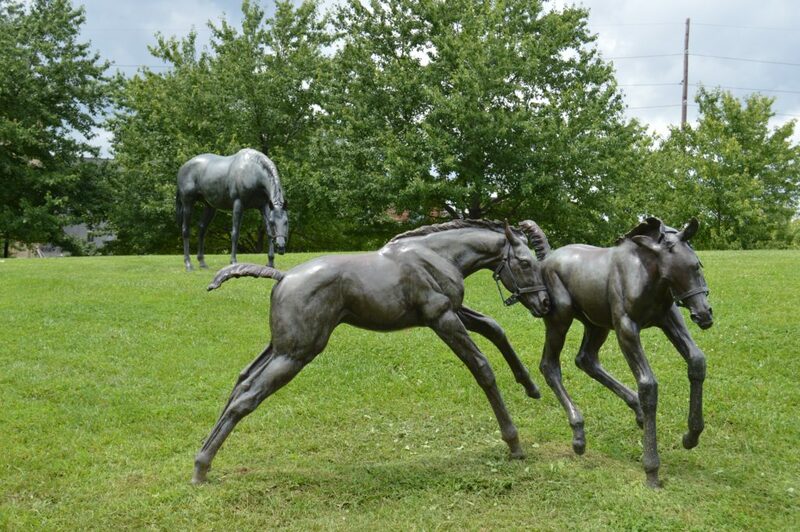 Anna noticed all the horse statues, so we headed to see it after the Henry Clay Estate. 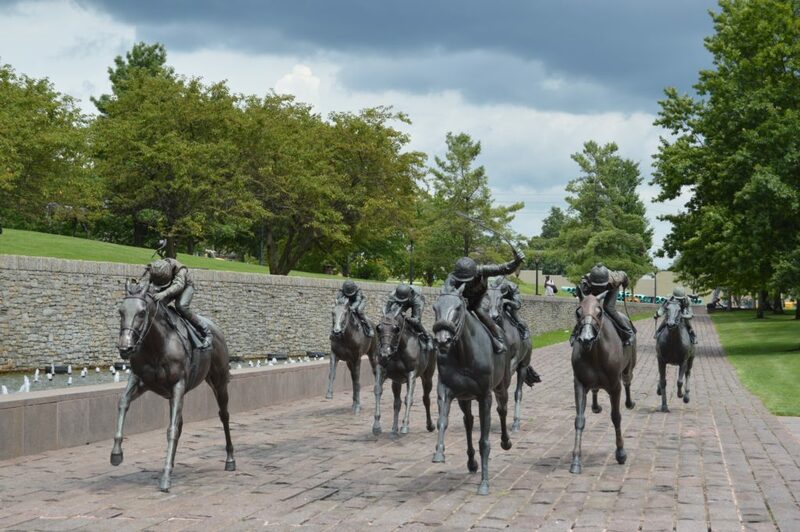 It’s just a small park to pay tribute to the thoroughbreds Kentucky is famous for raising. 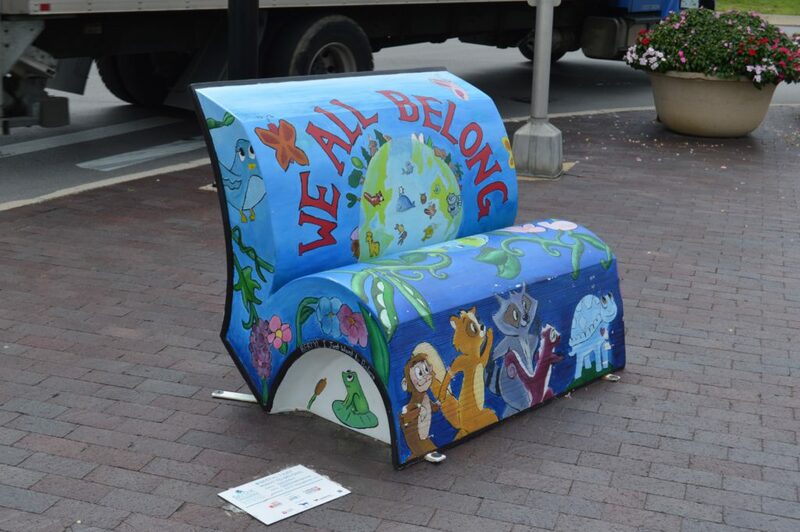 There’s just a walking path around the park, and some benches to sit and enjoy. 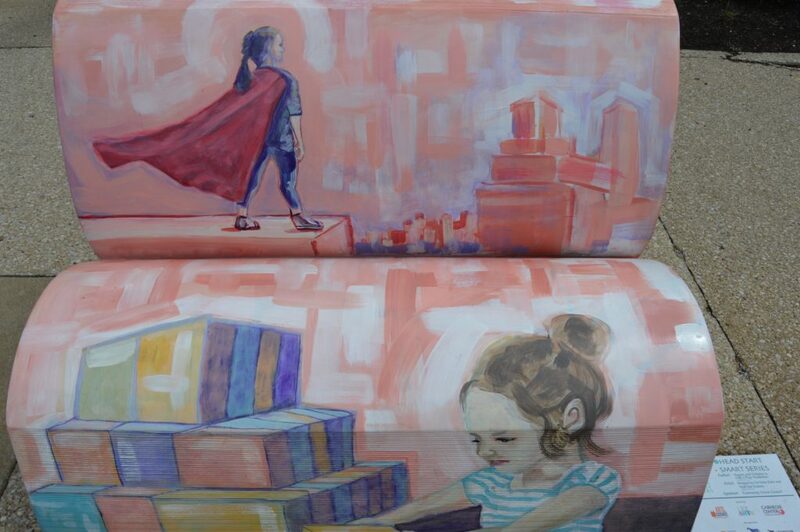 Walking around the park, we did find another art book bench. We didn’t stay long because it started to rain a little. Even though there’s not much to do in the park, if you have a horse lover in the family, it worth making a quick stop to check it out. 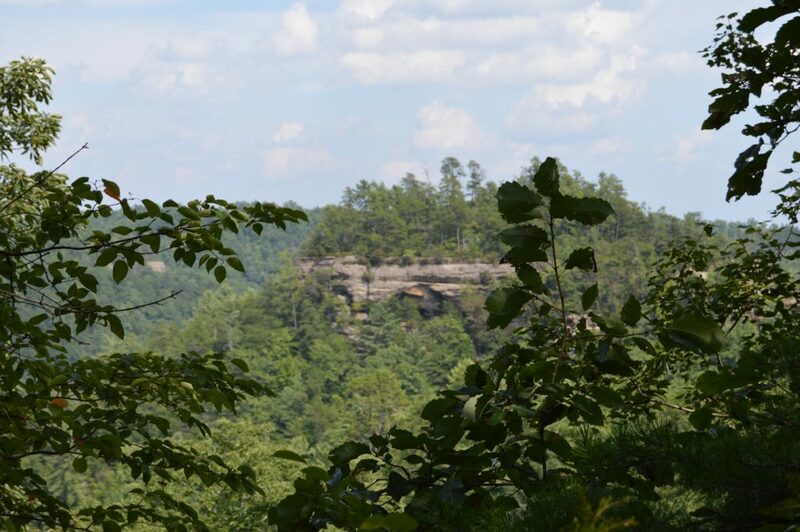 About an hour east of Lexington, in Powell County, is the Red River Gorge area, and Thrillsville. 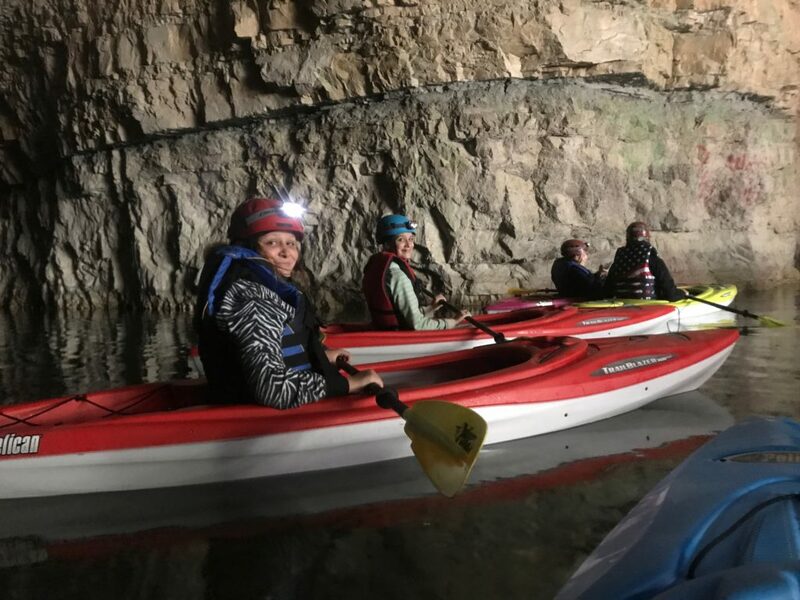 We wanted to do some kind of kayaking, and Jojo really wanted to kayak in a cave. We found Thrillsville from one of the lobby brochures, looked it up, and headed out there for our 3rd adventure day. 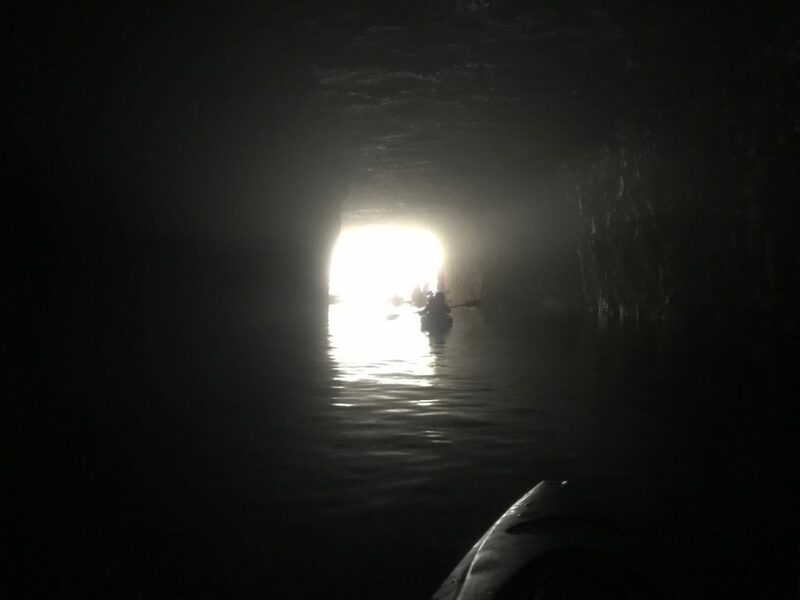 The kayaking cave is an abandoned mine called Gorge Grotto. It is about 55 degrees inside, and water about 40 degrees. We wore a jacket, and all other equipment was provided by Thrillsville. Our guides, Josh & Cory, were great!! During our one hour tour, they filled us in on the history of mining in the area, and specifically this grotto. 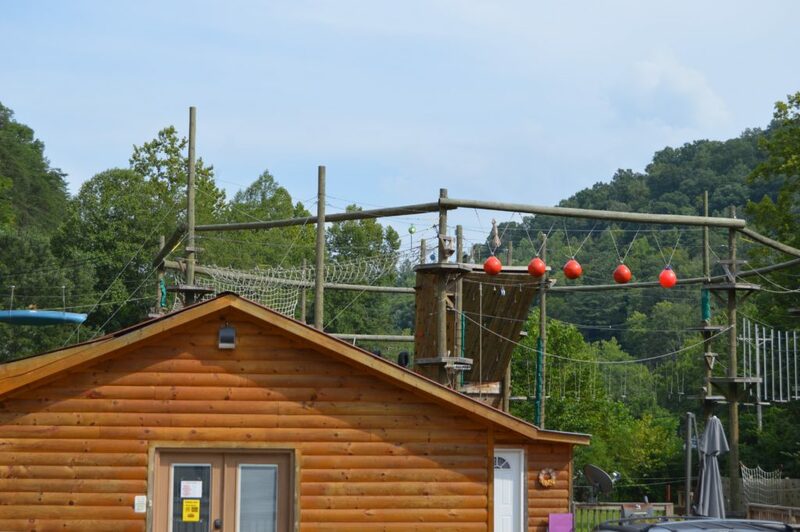 Thrillsville also has an Aerial Adventure with a rock wall, tight ropes, zip lines, cargo nets, and much more. Be sure to check their website, as this is not open every day. It was not open the day we visited. Being honest, from the outside, I was expecting this place to be filled with your traditional “bar food” and not a place specializing in grass fed burgers, kale & spinach salad, traditional tacos, and humongous burritos. This family owned gem is sure capable of producing something pleasing to your palate. 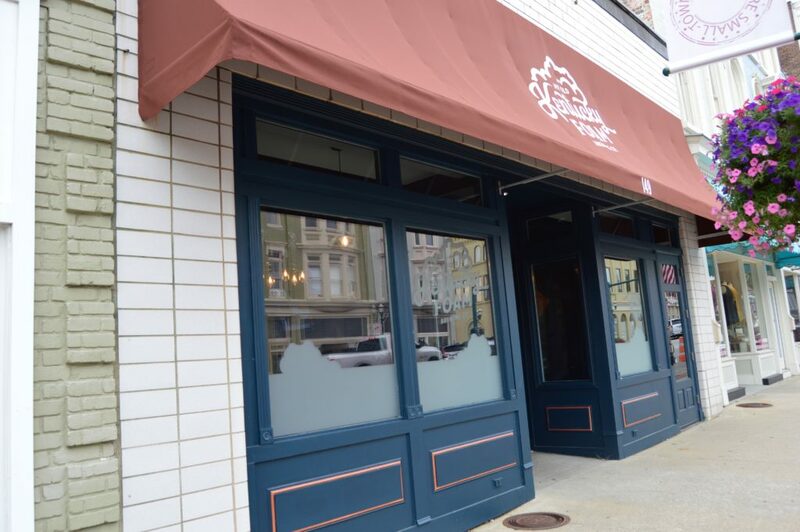 They also carry craft brews, both bottled and on tap, wine and bourbon. Jojo had a root beer, and the Bacon Cheeseburger, which is a local grassfed burger, topped with local, pastured pork bacon, aged white cheddar cheese, and lettuce, onion, tomato, and pickle. 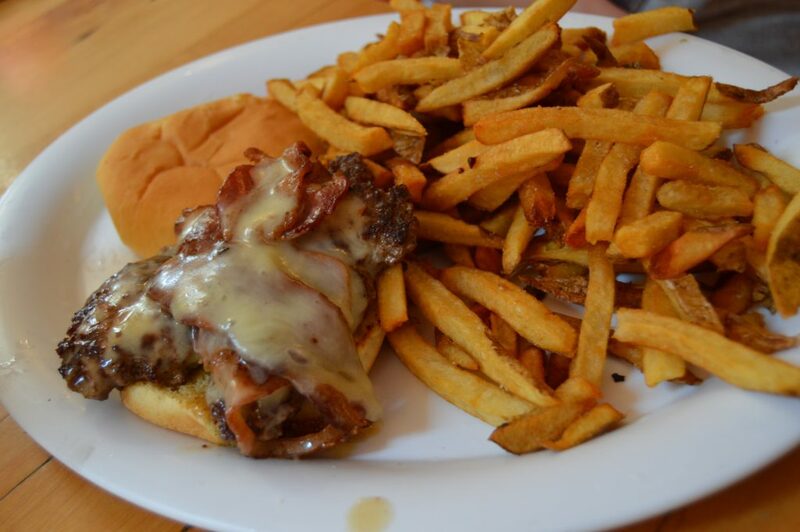 I had a taste, and this is definitely one of the top burgers I’ve ever had. 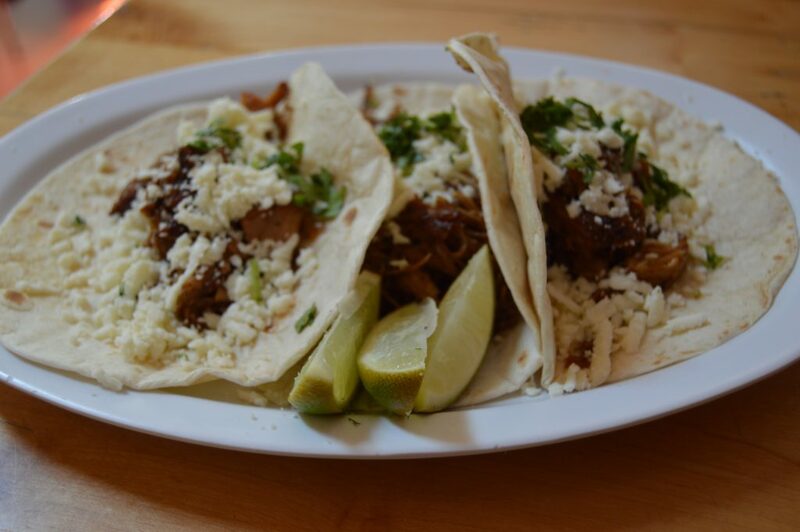 Annie and I shared the Barbacoa Tacos served traditionally, on corn tortillas, with onions, cilantro, and a wedge of lime. These are excellent tacos!! If you are adventuring in the area, this is a must eat place!! Or if you are ever traveling I-64 east of Lexington, I highly recommend making a pit stop for lunch!! Stopping at Mill Creek was one of those places you see the sign, and you decide to pull in. A nice relaxing place to dip your feet in the water, explore, and cool off in the hot summer heat. There was not many people around, so to just listen to the water trickle down the falls was so peaceful. We took some time to just take it all in. At the top of the falls, is Mill Creek Lake. There was not a boat ramp in the lot we parked in, but you can fish on the lake, so there has got to be access somewhere. The lake and falls is considered part of the Natural Stone Bridge State Park. 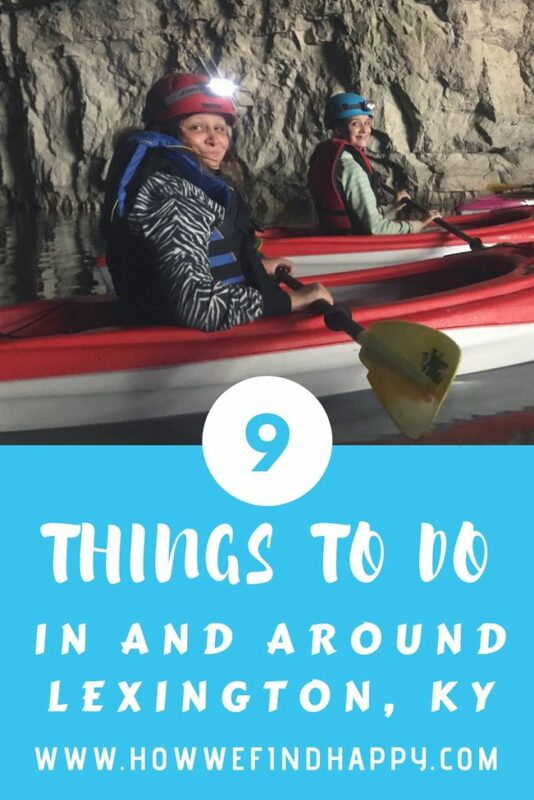 Once we had decided to do the kayaking with Thrillsville, we wanted to find a couple other things to do in the area. Natural Stone Bridge State Park is at the same exit, and right near the kayaking, so we found some trails to walk. With several different places to park, and many trails, you can find more information on this PDF. 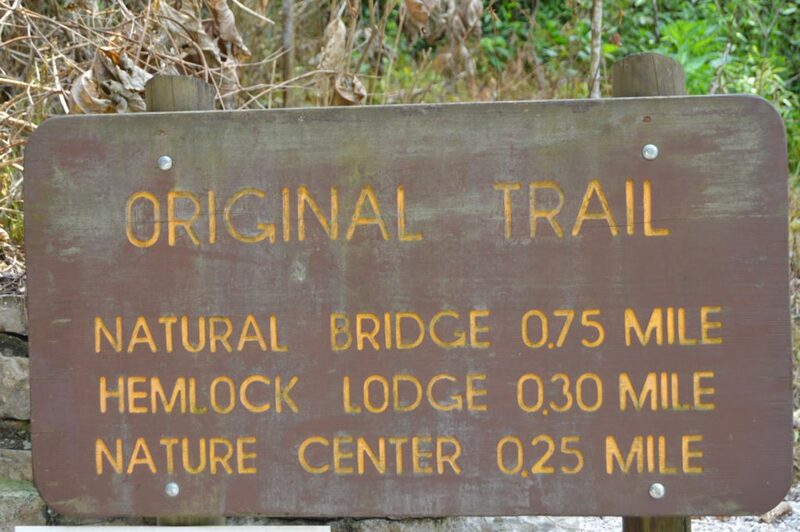 We parked near the Hemlock Lodge, followed some trails, crossed a bridge, and came to this sign stating 0.75 miles to the Natural Bridge on the Original Trail. 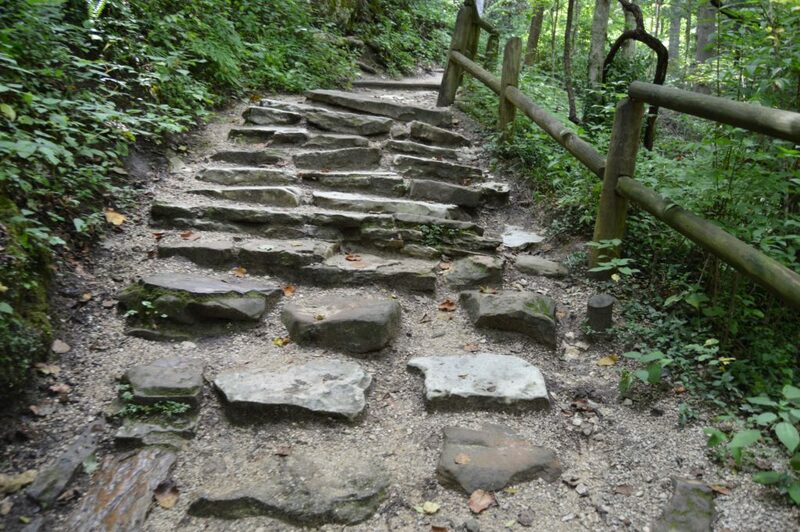 The Original Trail, is moderate difficulty, but for those who don’t hike often, it is a LITTLE more than moderate. Honestly, had I known how long and hard the hike was going to be, we would have taken the Sky Lift!! And here’s my #1 tip: once you walk up, you have to walk down. You cannot take the skylift down. No way did I think a hiking trail up less than a mile would be so rigorous. We all agreed it seemed WAY further than 0.75 miles. 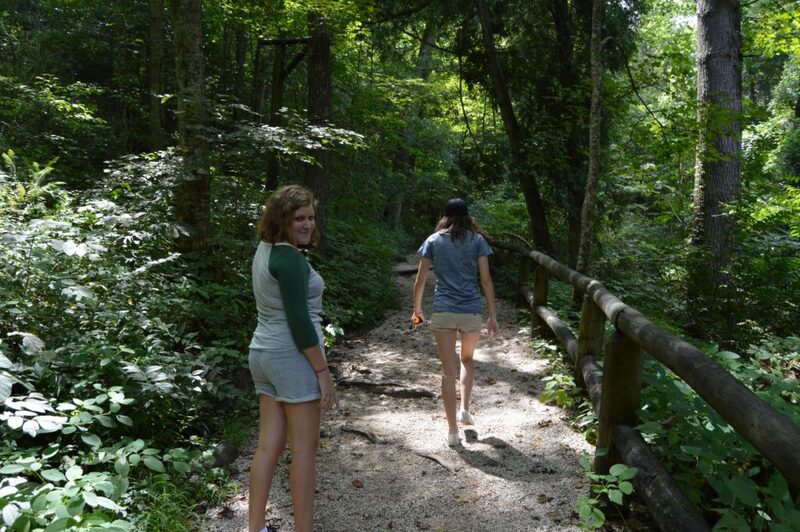 Jo got pretty cranky, but once we go to the top and saw natural bridge, and the view, it was worth it. Thankfully the trails are shaded, and the walk down was so much easier. I would do the hike again, now that I can be more prepared to do so. 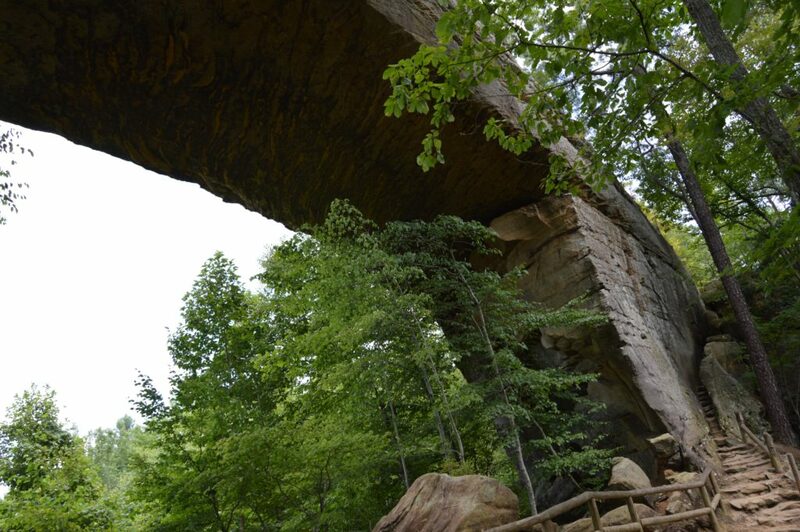 Again, there are many more activities in the Red River Gorge area, and many more natural stone arches. 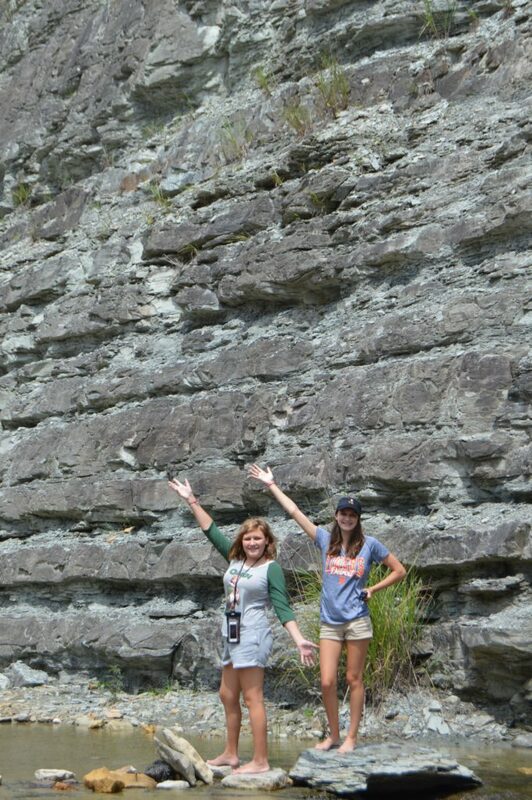 Not only are there hiking trails, but you can also do rock climbing. 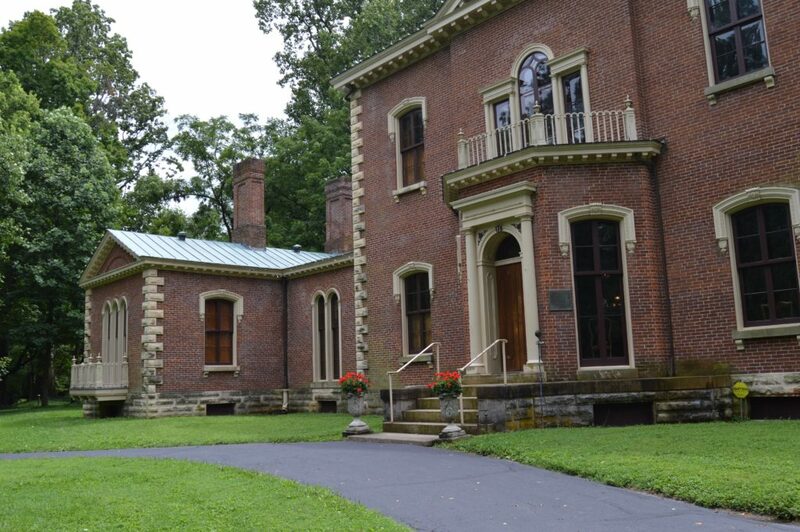 To find out more, you can check out the Powell County Tourism Commission. Being flexible is How We Find Happy!! Have you been on any similar adventures? We would love to hear about them. Come share them with us on Instagram!! 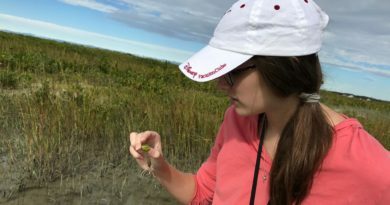 If you enjoy visiting historic towns, check out our day in St. Augustine. It doesn’t get any more historic than the oldest city in America!! What beautiful sites! 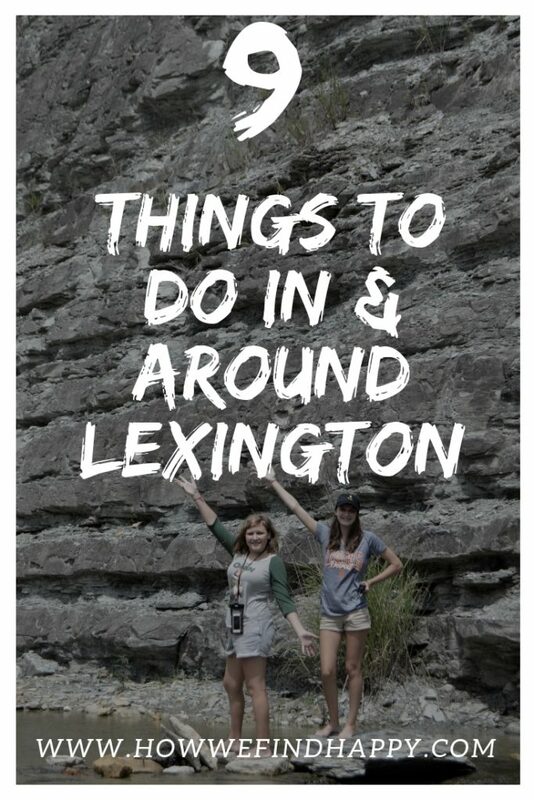 I can’t wait to book a vacation to Lexington soon! WE hope to get back soon too! I definitely want to see the Ark and go to the Derby once in my life. My parents used to go to he Derby many years ago with friends. I would love to go at least once! I have friends that live in KY. I will need to make a trip up there and follow your tips! That would be a fun trip!! Julie, what a great trip this must’ve been! The only time I’ve been to Lexington is just driving through it on my way to WV. Looks like a fun town!!! Same here. I cannot tell you how many times we have driven up and down I-75 passing through. This was our first time staying in the area!! This is a city I have not been to yet but definitely on my ‘live list’. I appreciate all the suggestions. I will put it in my travel book to make sure that these are some places we will visit when we do go. We were so glad we finally took the chance to stop and see it!! This looks like such a fun city to visit!!! 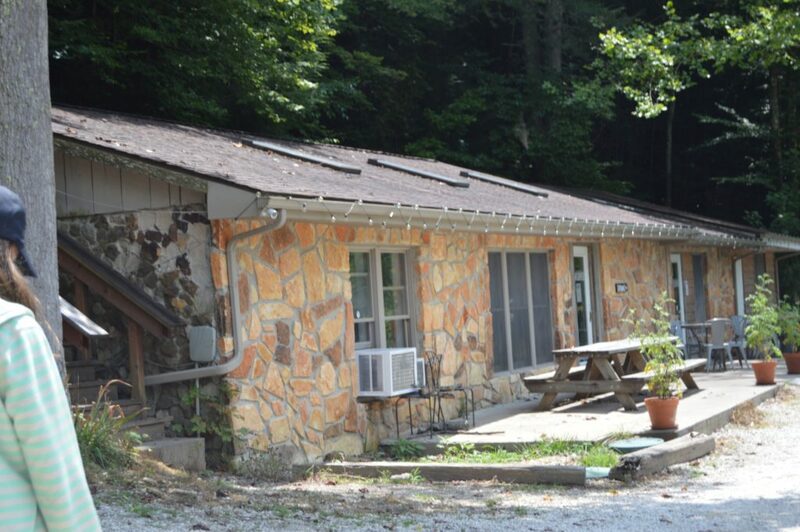 The red river gorge is right up our alley!! And so much history!!! I have really been wanting to visit the Ark as well. I’m saving your post for future reference!!!! 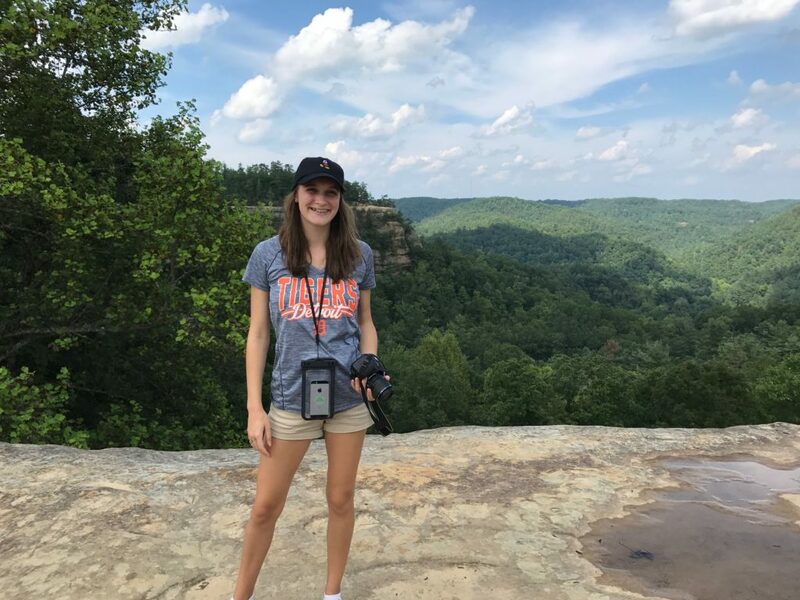 Red River Gorge was such a fun find for us!! 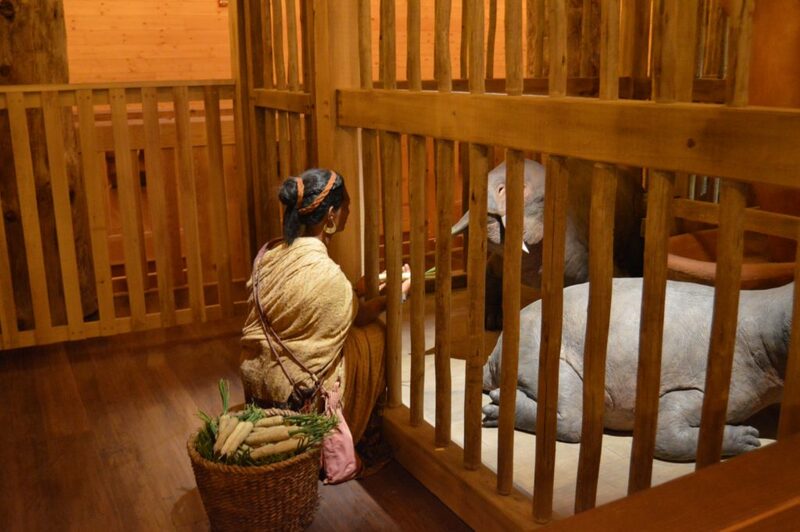 Hope you get the chance to see the Ark too! The Ark Encounter has been on my list to see for several years and Thrillsville would be a must for Brayden!! We definitely like to keep active when we vacation. I have never kayaked but this might be the place to finally check that off my list of things to do!! You definitely need to see the Ark!! Hope we can kayak together soon! 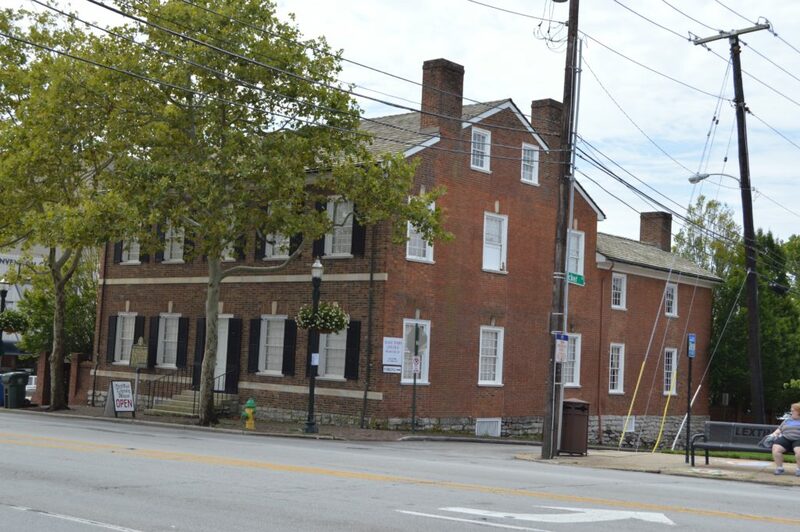 Lexington is such a great city! 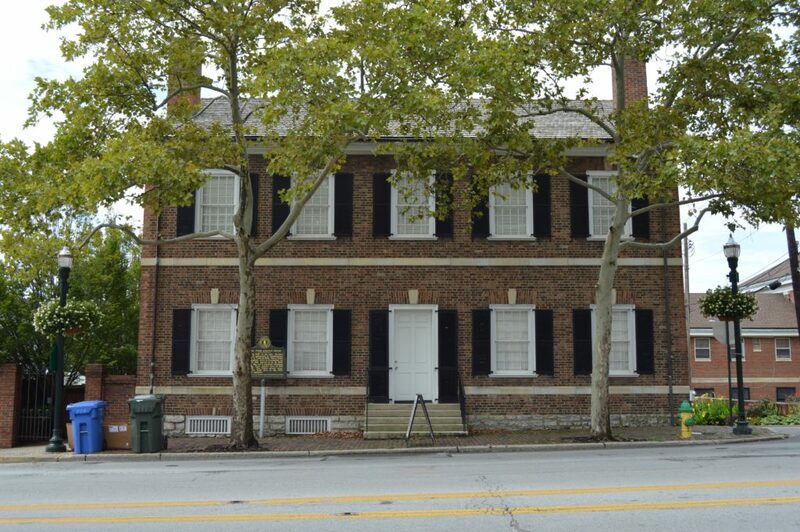 Years ago we lived in nearby Richmond and would visit the Henry Clay house whenever my grandmother would come to visit. 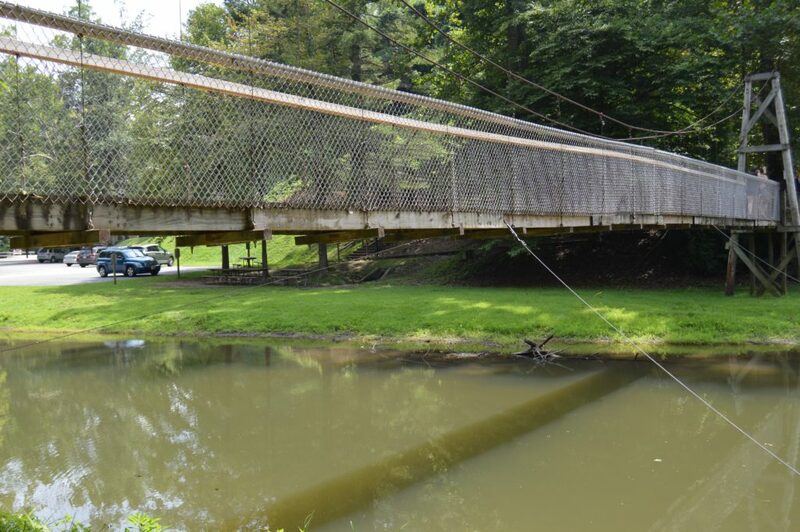 We also loved Fort Boonseborough State Park. Fort Boonesborough was on our list too. Wish we could have done that on our way out of the area. Just not enough time!! We will have to plan a trip to Lexington now! Looks like you had a lot of fun! Hope you get the chance to visit!! 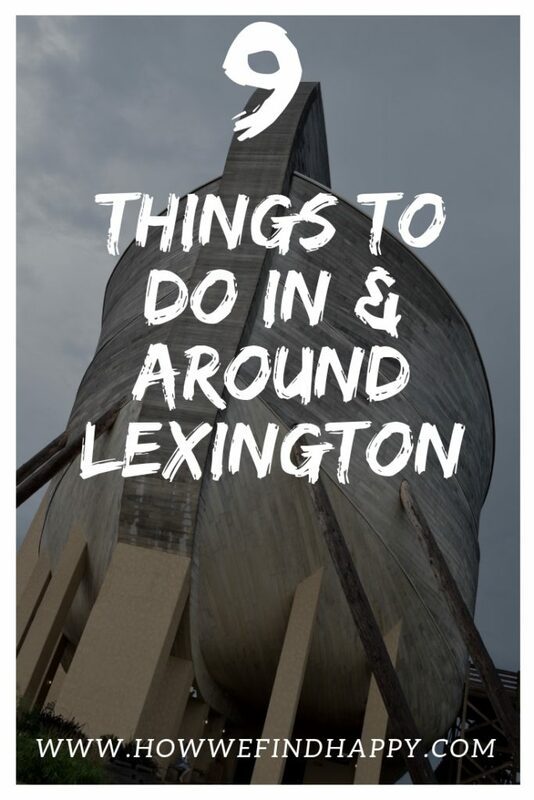 There are so many wonderful activities in Lexington. We enjoy historical locations and learning. Now we know where to go in Lexington. 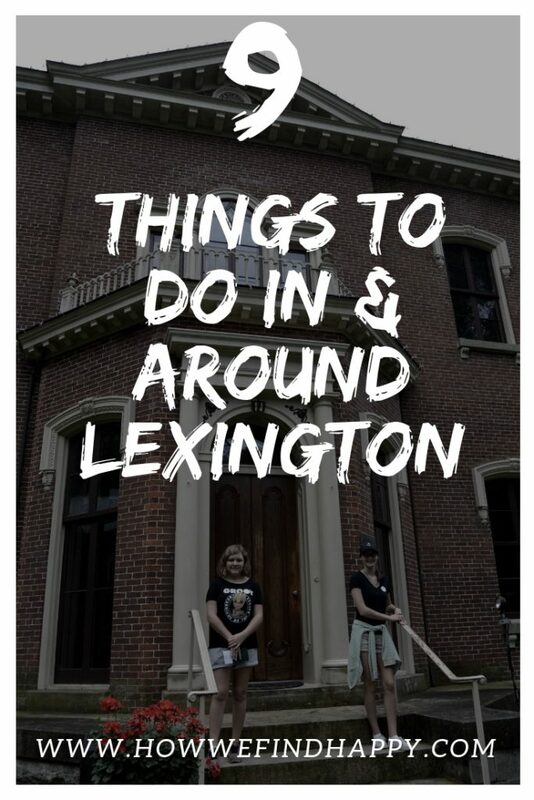 If you love history, you will love Lexington!! So much to see. Gee, I’ve lived here for a few years now and have never been to any of these places. I will definitely try some of them soon. 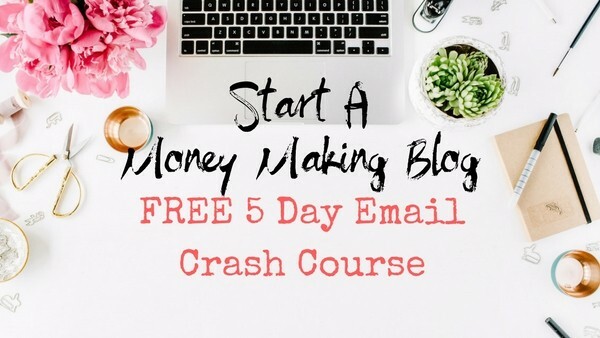 Love your site, it is amazing. It seems we do the same thing. Hope you get out and see some of this beautiful city! Loved this post! 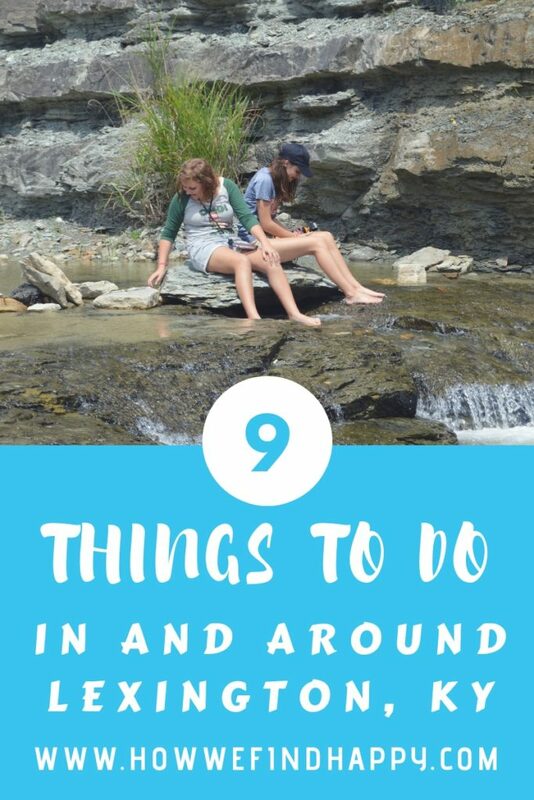 Great bunch of things to do! Thank you!! The only thing that would have made this trip better is having my hubby and oldest daughter with us!! I spent years wanting to stop, so happy we finally did!! Happy this will help in your travel planning! Sounds like a wonderful trip. 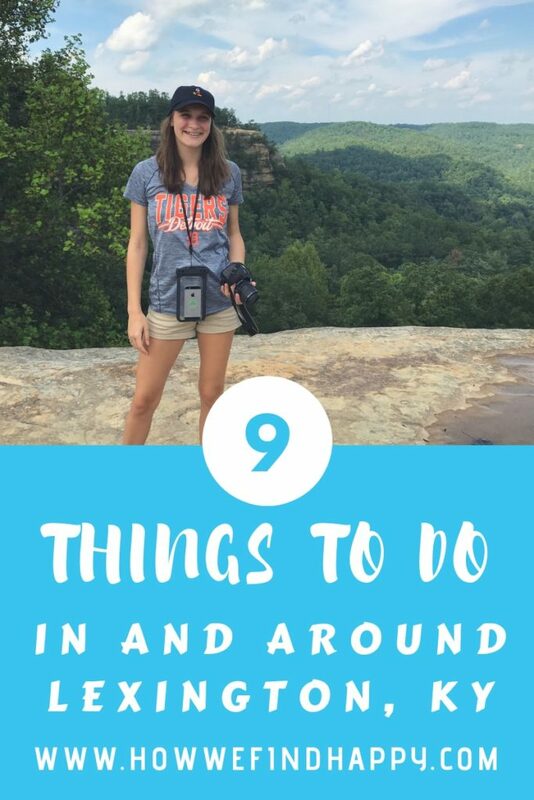 I haven’t been to any of these places and we’ll definitely have to add it to my list when we hit the road in our RV! I was such a great trip!! I cannot wait to follow along on your RV travels!! Great recs! 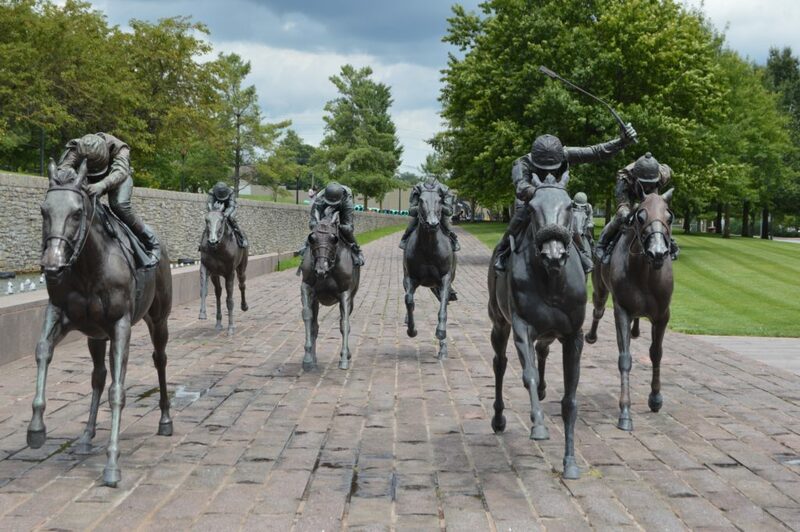 Hope to get to KY one day for the derby! Thanks!! The Derby would be a fun thing to do someday!! It looks like a lot of fun! I’ve never been to Kentucky but now you’ve convinced me I need to go! Yay!! You will love it!! 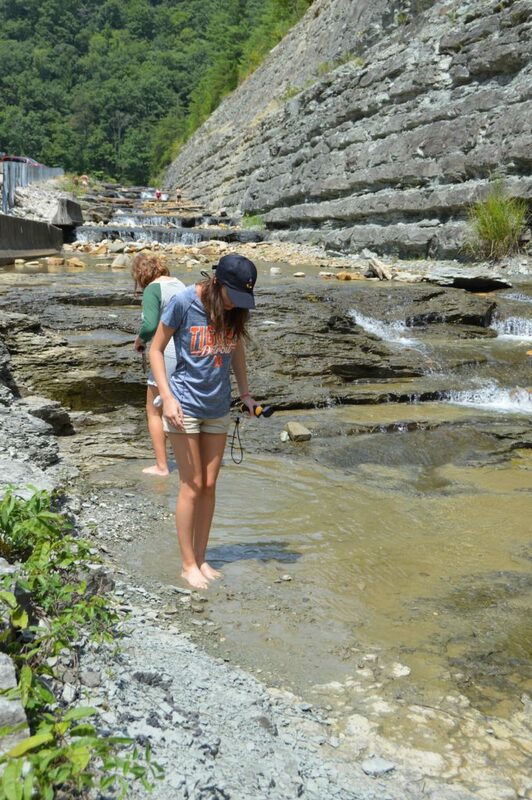 Kentucky is such a beautiful state!! What a fun trip!! 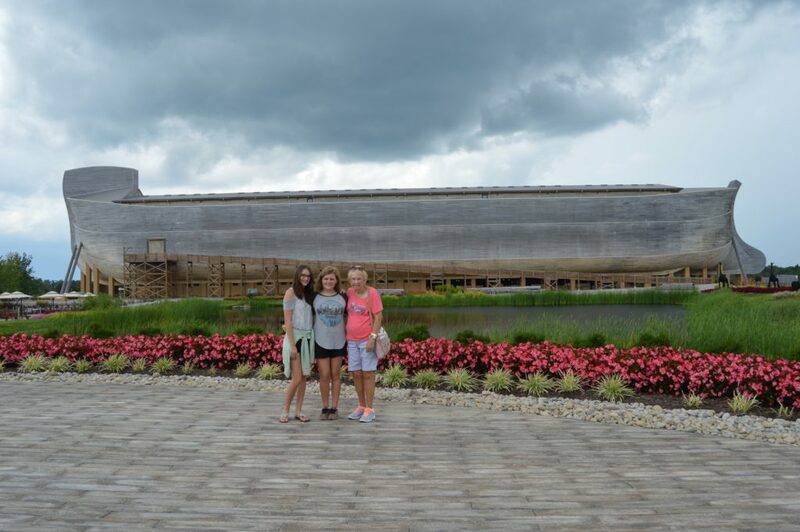 My daughter would love the Ark Encounter – this is the first I’ve heard of it – thans for sharing!! Great!! Happy to share new opportunities for adventure with others!! Same here!! 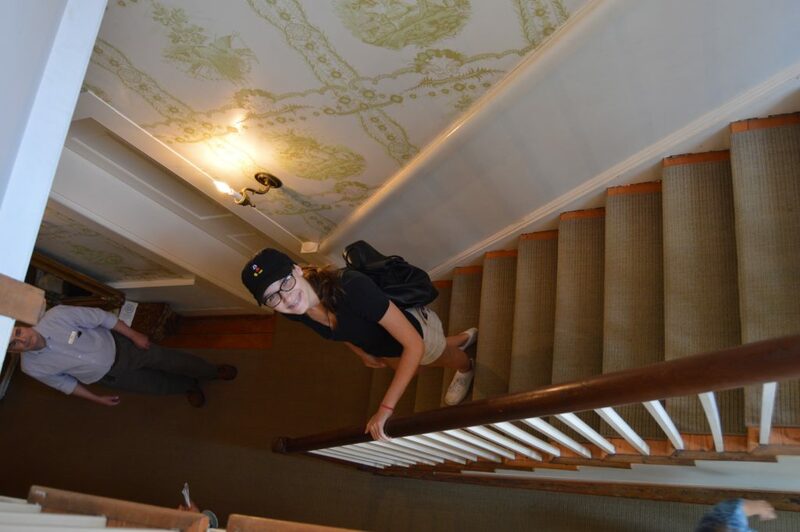 I love touring old historic homes!! It sure was!! So much to do in the area!! I would love to do the cave kayaking! The Mill Creek Lake & Falls looks like it has loads to explore. 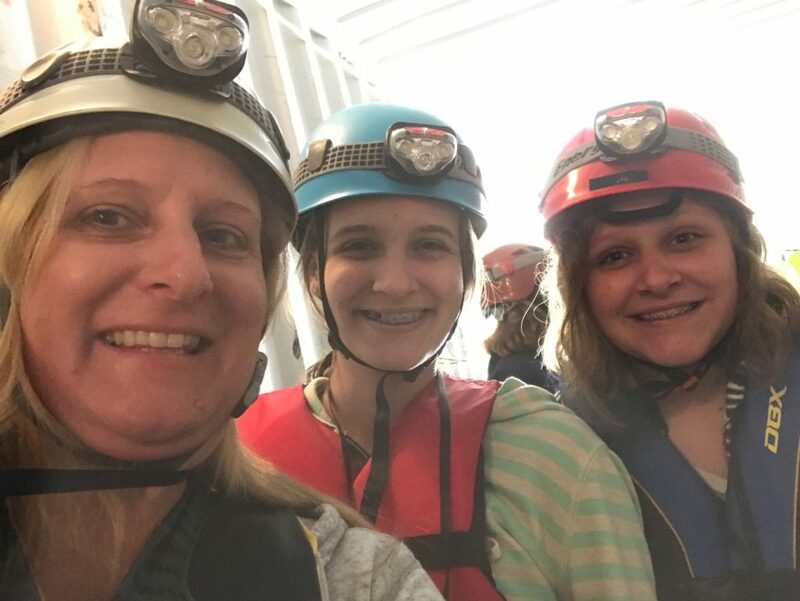 I wasn’t sure how I felt about the cave kayaking, but I really did have fun!! You would love it! !